Students receive their music education in a familiar, secure, and safe environment year round, including summer instruction. A unique and enriching musical experience for students of all ages and ability levels. Performances build confidence, showcase musical progression and talents, and allow students to listen to their peers perform. Master Classes, Singing Classes. Theater & Acting Classes and more! Take your music or acting to the next level in one of our after school classes. Offering classes for guitar, voice, piano, keyboard, percussion, world music and theater. 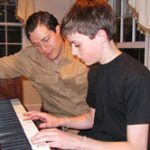 Westchester Home Music’s curriculum includes music theory, practical musicianship skills, such as sight-reading and ear training, and proper instrument techniques. 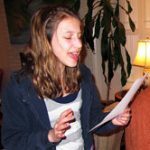 We offer instruction at all levels from beginner to professional, in all areas of music: classical, jazz, contemporary, Broadway, and popular repertoire. Westchester Home Music also offers composition; students compose and perform their own music at our Spring and Winter recitals. We now offer DJ and Electronic Music (EDM) lessons for up and coming Electronic Dance Music songwriters and producers. Westchester Home Music is the recipient of the Goldman Sachs 10,000 Small Business Certification of Excellence. My daughters study with a voice, piano, and guitar teacher and both are so wonderful and inspiring! I have recommended Westchester Home Music to many of my friends and family. Larry and his wonderful teachers have been bringing music into our home for the past four years. Larry is an inspirational musician and person. He taught me and my daughter to play the piano, and one of his teachers taught my older daughter to play the violin; actually, not just to play but to really love the instruments and the music. With Larry and his teachers it goes beyond reading the notes; they teach you to become your own musician. We all love Larry (and Melinda the violin teacher) and feel so lucky they came into our lives. 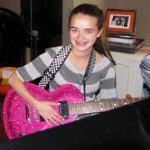 Our daughter, Celia, and my two boys have been taking guitar, bass, voice and piano lessons with Westchester Home Music for the past 6 years. The teachers have taught my children to love music in a way that has both inspired and encouraged them. I give Westchester Home Music my highest recommendation. My son Jonathan and my two daughters have had a wonderful learning experience through Westchester Home Music . They were really able to fit them with the right teachers. Thank you so much for bringing my children the love of music. 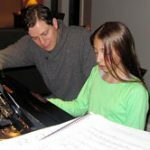 We have been searching for a piano and voice teacher for my 9-year-old for some time, and had found nothing that met our needs. Then we heard about Westchester Home Music. Ryan and Dale immediately fell in love with their teachers. I would highly recommend them to anyone who is interested in learning music! Larry Edoff studied at the prestigious Berklee College of Music in Boston and holds a Masters degree in Music Education /Composition. Larry started his teaching career in Westchester County as music teacher at Edgewood Elementary School in Scarsdale, and then went on to become music teacher at Woodlands High School in Hartsdale. Larry has been a teaching force in Westchester since 1996. 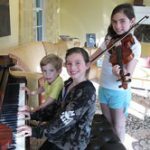 Larry carefully selected additional music instructors to form Westchester Home Music, offering private instruction for piano, guitar, bass, drums, percussion, voice, violin, viola, cello, double bass, all brass and woodwind instruments, composition, theory, and music recording. Together, Larry and his excellent staff of teachers provide their students with the opportunity to excel and develop a lifelong relationship with music. For our advanced students, we offer professional recording sessions in our state-of-the-art studio. Westchester Home Music students have gone on to follow their dreams at prestigious university programs and now work in the music industry.